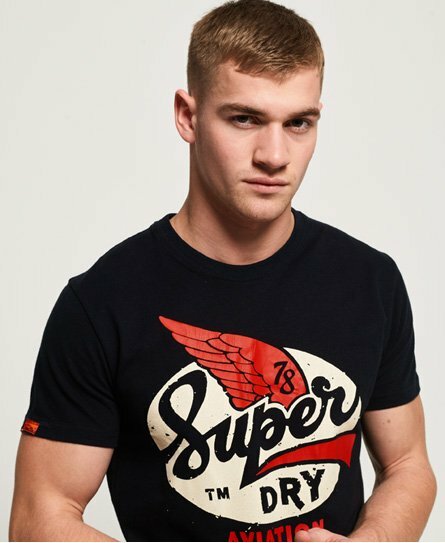 Superdry men’s heritage classic t-shirt. For a new season look that is practical and punchy, this heritage crew neck t-shirt allows you to look effortlessly on-trend. Featuring a cracked effect Superdry logo across the chest and a Superdry tab on the sleeve. This super soft tee would look great paired with jeans and trainers for a casual look, or for an evening vibe, throw on a pair of boots to complete.